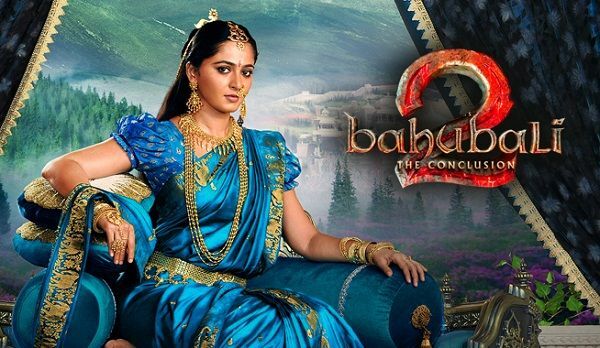 Anushka Shetty fascinated her fans with her Maharani look as Devasena in Bahubali 2. It was Anushka Shetty’s jewellery that was most talked about in the movie along with her looks and acting. 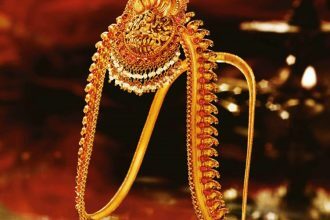 The unique, classy and antique jewellery collection gave her the perfect look as the rich queen of the richest kingdom Mahismathi in the movie. Take a look at the various jewellery collections adorned by the beautiful and talented actress. Anusha carried along every accessory very well, be it her antique maang tikka, multi line pearl nose ring,center nose pin, multi line pearl ear chain, chandlier earrings, antique gold bangles, vaddanam (hip chain), short necklace , long necklace or multi line saree brooch, everything looked just perfect on her. 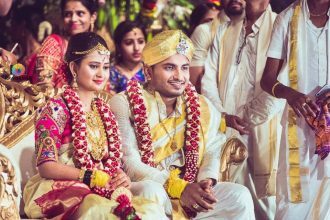 Here’s a look at Anushka Shetty’s jewellery!